Found this at target. I was unsure about this line at first but this thing looked awesome on the shelf. 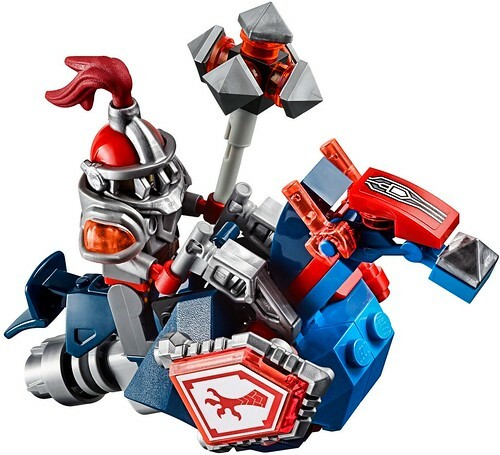 This set reminds of the thundercats thundertank, I could imagine converting the center into a robo-horse head or something matching this theme to make it even more thundertank-y. I can't wait till the rest of the line comes out, I want all of them except the giant transforming horse set. I hope they do a chess set like they did for the last castle theme. Anyone else picking up any of these sets? Wow, these are already out?? 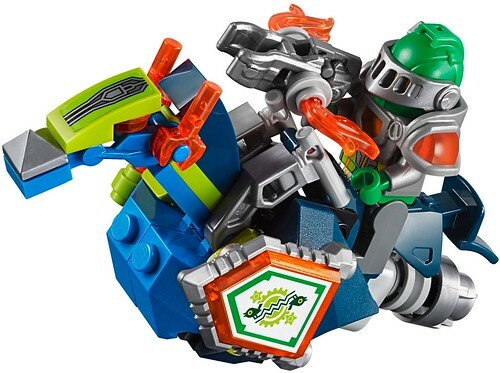 I plan on getting the little Robot Buddy torso pieces as soon as they hit Bricklink. Past that . . . no idea. There seem to be some interesting stuff for MOCs, though! I only found them at one target around here, they may have put them out by accident. Usually TRU has new Lego sets out before everyone else but they had nothing. Maybe in the next 2 weeks more will pop up. 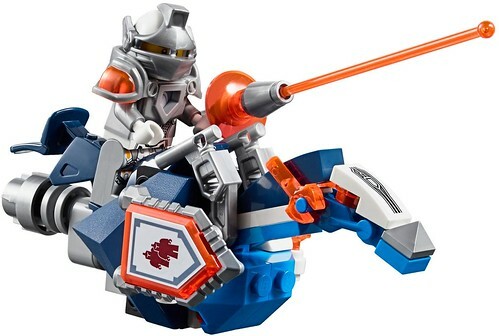 I love the motorcycle robo-horses that appear in a few of the sets. Wow those are rad. I love that Mecha suit knight with all that glorious clear orange plastic. Reminds me of the old arctic sets. podunk wrote: Wow those are rad. I love that Mecha suit knight with all that glorious clear orange plastic. Reminds me of the old arctic sets. YES. There has been speculation on whether the orange matches the Ice Planet 2000 orange, but I'm going to assume that it does not match exactly. 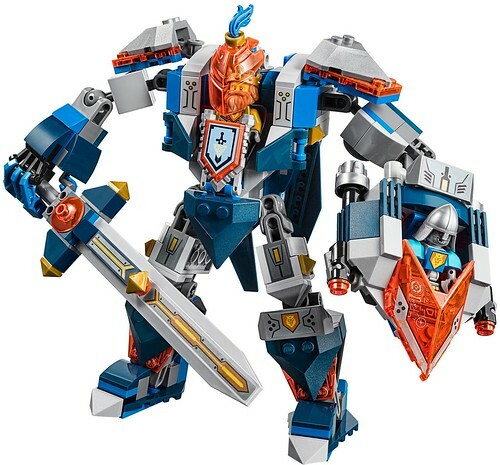 The King's Mech looks great. The smaller sets seem more interesting to me than the big ones for now. Maybe I just like the techno-armor on the mini figures. They're listed as available on January 1, 2016, on the Lego shop. I saw the big set at B&N tonight, but I didn't have the hundred free pre-Xmas. They look fun. akum6n wrote: YES. There has been speculation on whether the orange matches the Ice Planet 2000 orange, but I'm going to assume that it does not match exactly. The new trans orange has a slight sharper orange tint to it. 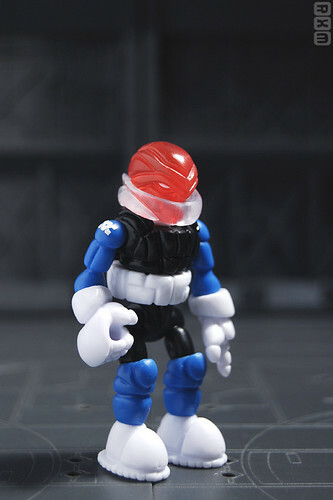 If the ice planet pieces were as clear as the new pieces it would be hard to tell the difference at a quick glance. The set is pretty nice all built, feels like a good sized vehicle. The little robo knights are great though their second face print is a bit goofy. The shoulder pieces for the robo knights are rubbery. I like the face print on the little devil guy. 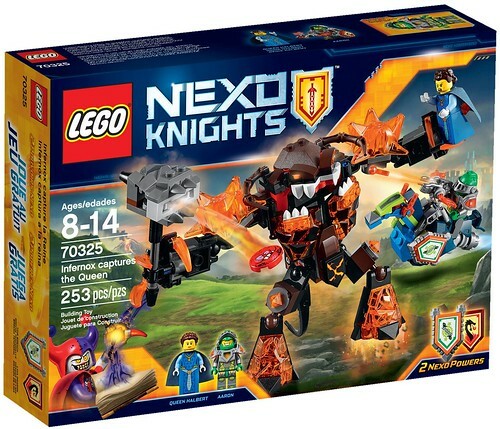 The Lego Store has a Nexo Knight intro kit from Jan 1-10 with any purchase for VIP members. I need to swing back by to grab one. I picked up 70316 "Jestro's Evil Mobile" and it kind of sold me on the line. Nice detail, functions were well integrated without feeling forced. 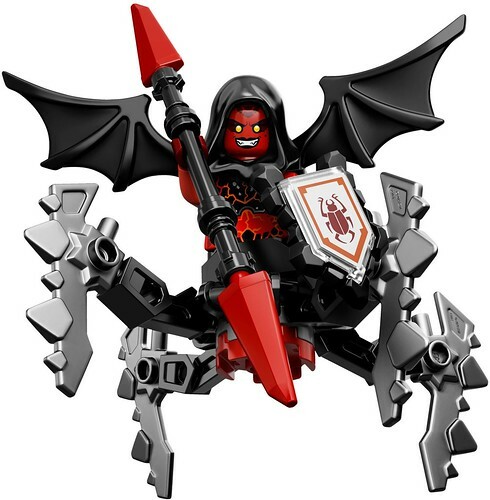 I have always been partial to fantasy Lego/castle and the villains are just too cool. Now I just need another display case so I can set up the villains on one side and the heroes on the other. Just bought Lavaria on a whim. I am not disappointed, she's an all-around badass minifigure! Though I gotta ask, is anyone actually playing the ap/game thing? Nezumiiro wrote: Just bought Lavaria on a whim. I am not disappointed, she's an all-around badass minifigure! Though I gotta ask, is anyone actually playing the ap/game thing? My daughter and I tried it on a lark (on our Kindle Fire) and while the game play is pretty similar to previous Lego apps, the shield scanning is actually pretty fun. You can scan the actual pieces, a bonus shield in the most recent club magazine (in the comic) and even the shield that is on the box as part of the logo. I have heard that once the stores have their displays in place that there will be store exclusive shield "stickers" to scan as well. 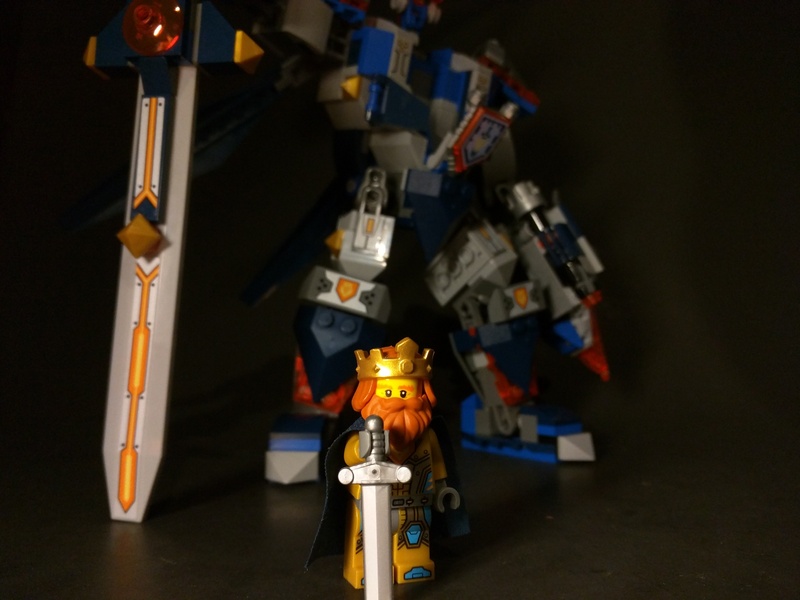 I've been getting more of these sets lately, and the King's Mech is by far one of the best of the line. But they're so small... there's always room for more Lego guys!